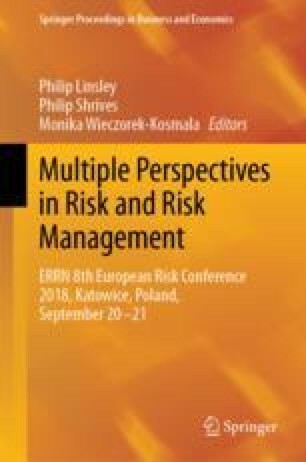 Although the majority of German companies in general and leasing companies in particular are small and medium-sized enterprises (SMEs) and even though risk management is gaining more and more practical as well as academic relevance, there are only very few studies focusing on risk management in SMEs. This paper aims to fill this gap by presenting a comprehensive approach to the topic and presenting a framework tailored for leasing SMEs. Research was based on 40 semi-structured in-depth interviews, thereof 35 SMEs and 5 large German leasing companies. This represents about 25% of the whole German leasing market in terms of annual sales volume and number of active leasing firms. Based on the interviews, a framework on enterprise-wide risk management was developed with a grounded theory approach and also a scoring of interviewees was undertaken. The scoring was based on the Miles and Snow typology (Miles et al., Acad Manage Rev 3(3):546–562, 1978). It was found that a clear size effect exists. Smaller and owner-managed companies tend more often to have a passive and simplistic approach to risk management, whereas larger and non-owner-managed firms have more active, sometimes also enterprise-wide approaches to risk management in place.